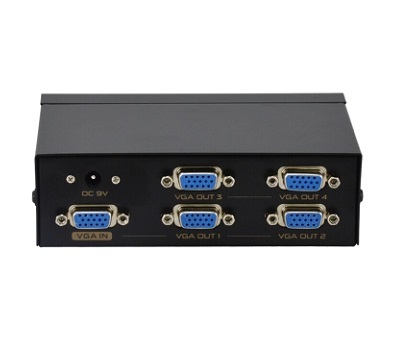 A VGA signal from computer display device to connect to 4 VGA output. 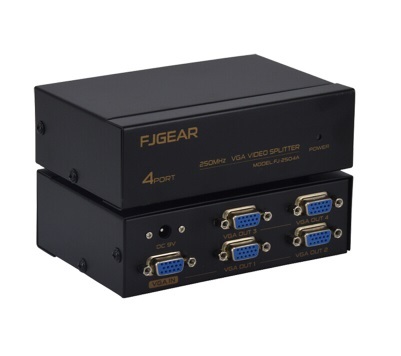 With up to 250MHz, this splitter that belongs to high definition VGA signals. 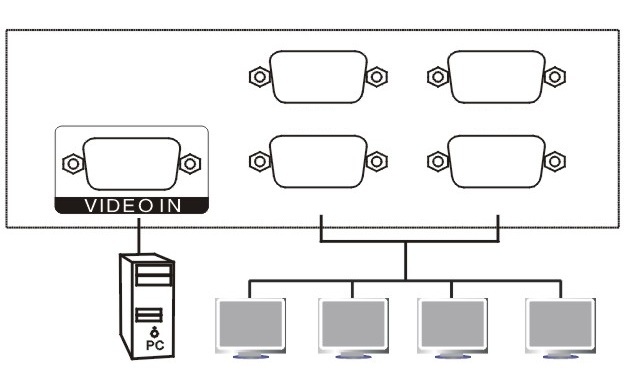 To be widely used in big screen display device such as liquid crystal TV, projector and so on. Long distance supported.